Built around 1386, Donnington Castle is a much reduced version of its original self. 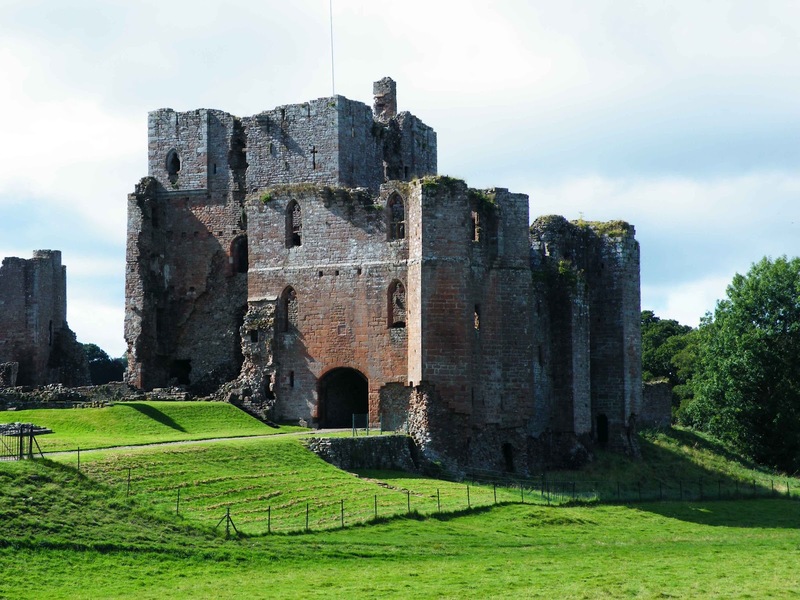 The majority of the remains consist of the twin towered gatehouse, built of flint with stone dressings and the completely ruined and reduced courtyard including the footings of six towers. Surrounding the masonry remains, are earthworks thrown up in 1643 by Colonel John Boys for the Royalist cause during the English Civil War. Typically, I only found out about the earthworks after my visit so didn't manage to catch any photos of them. The earthworks can still be seen on aerial photos, but this may be more to do with the fact that their extremeties are now marked out by footpaths. Click this link for an old map showing the castle and its earthwork defences. Above. View of the gatehouse from within the confines of the courtyard. 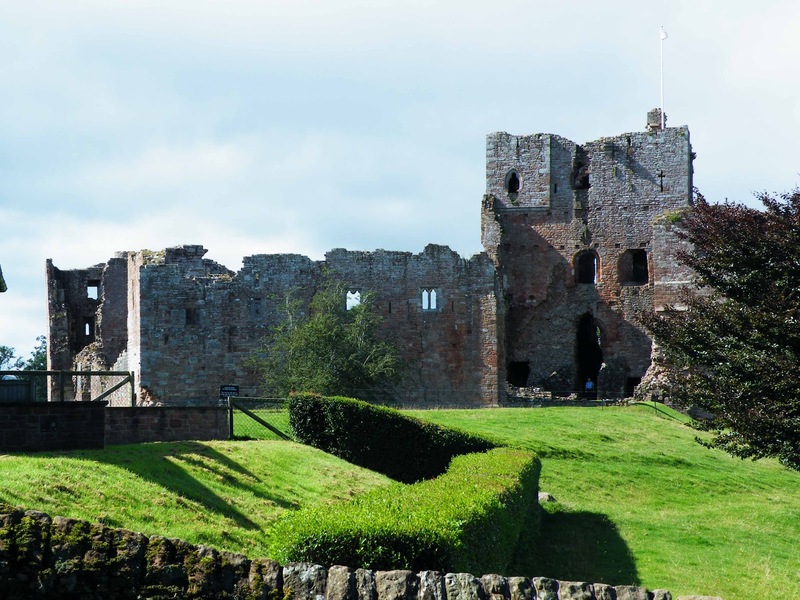 The castle was built by Sir Richard Abberbury under a licence to crenellate granted by Richard II. It was later sold to Thomas Chaucer, son of Geoffrey as a home for his daughter Alice. The Chaucers later found themselves on the wrong side of the Tudor monarchy and duly lost the castle and its manor. Above. 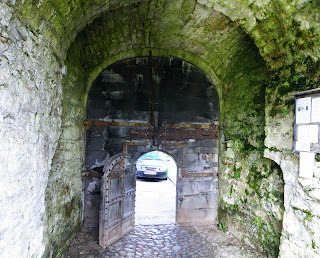 View of the gatehouse from outside the ruined courtyard walls. The castle was reduced to its present state during a Parliamentarian bombardment that lasted from July 1644 until April 1646. During this time the small garrison managed to hold out against the superior artillery by utilising the newly created star shaped defences that Colonel Boys had put in place. Colonel Boys eventually managed to negotiate a surrender which meant that he and his men were able to leave the castle safely. 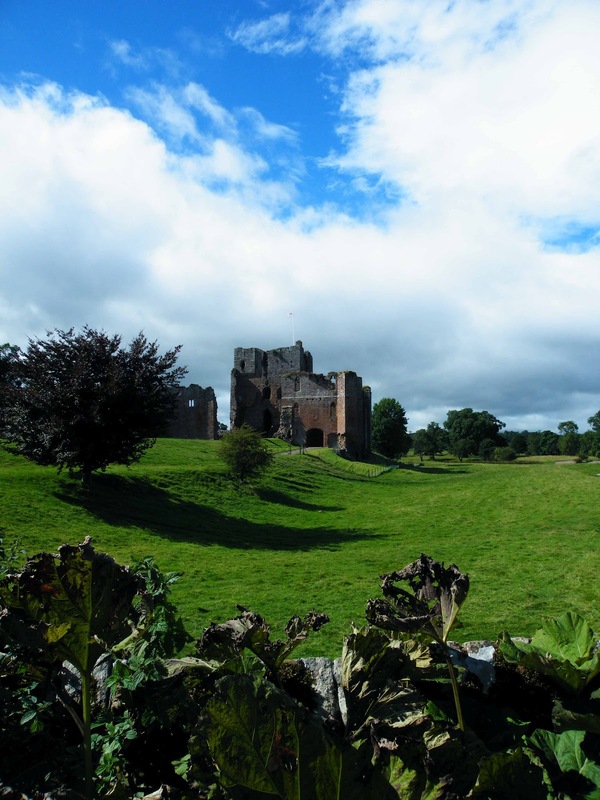 Parliament then decreed that the castle be destroyed to prevent it falling into Royalist hands once again. 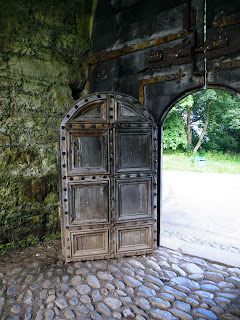 Only the gatehouse was allowed to remain standing. Above. The gatehouse from the foot of the hill. Above. 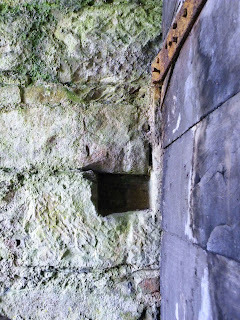 The vaulted chamber in the gatehouse. Above. One of the courtyard towers, with remains of a staircase. Above. A stretch of the courtyard wall with a square tower in the foreground. Above. 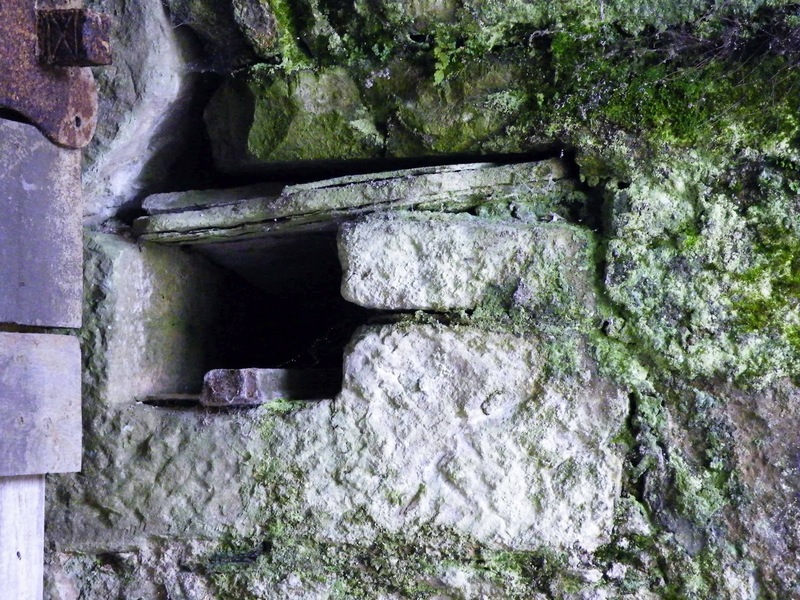 An exterior view of the footings of one of the square towers. Above. And the same tower from another anlge. There is a small car park at the foot of the hill and access is fairly easy. 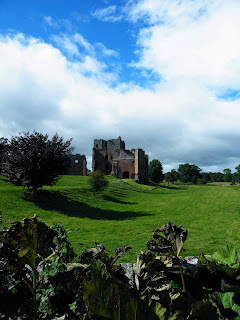 The Castle Facts website has some further information on Donnington Castle. Above. 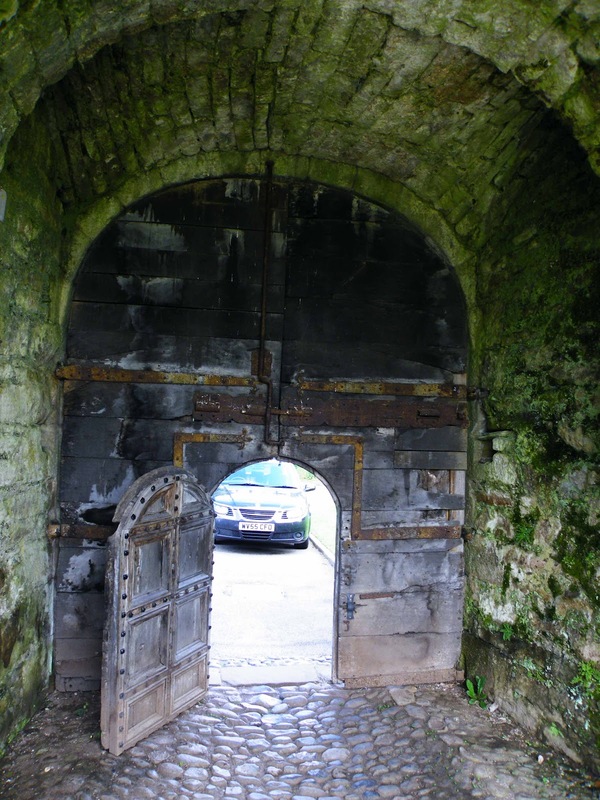 The gatehouse from within the courtyard. Above. Closer view of the interior of the gatehouse. Above. 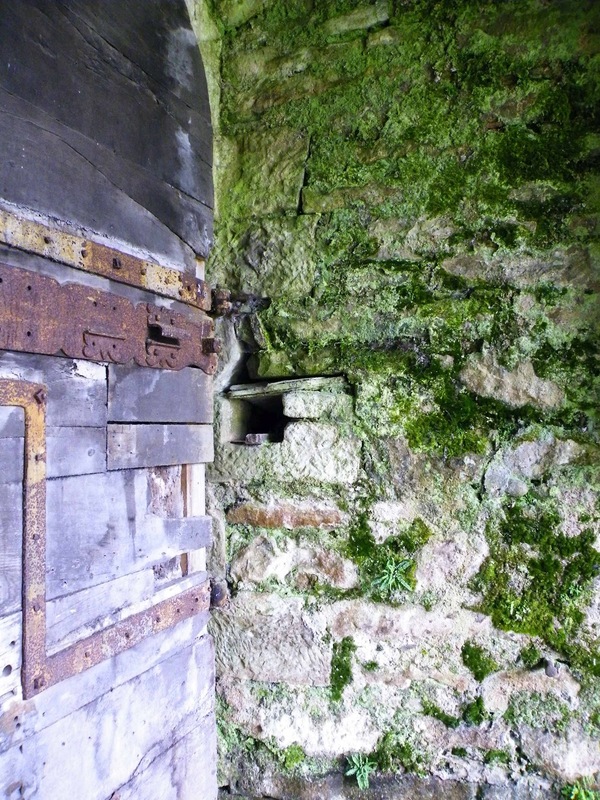 The vaulted interior of the 17th century gatehouse. Above. The bricked up draw bar tunnel. Above. The opposite side, with its intact draw bar tunnel. Above. 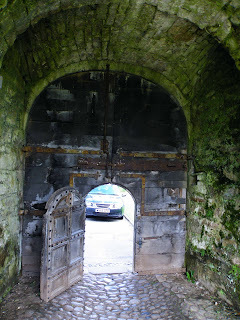 View of the gatehouse door. Above. 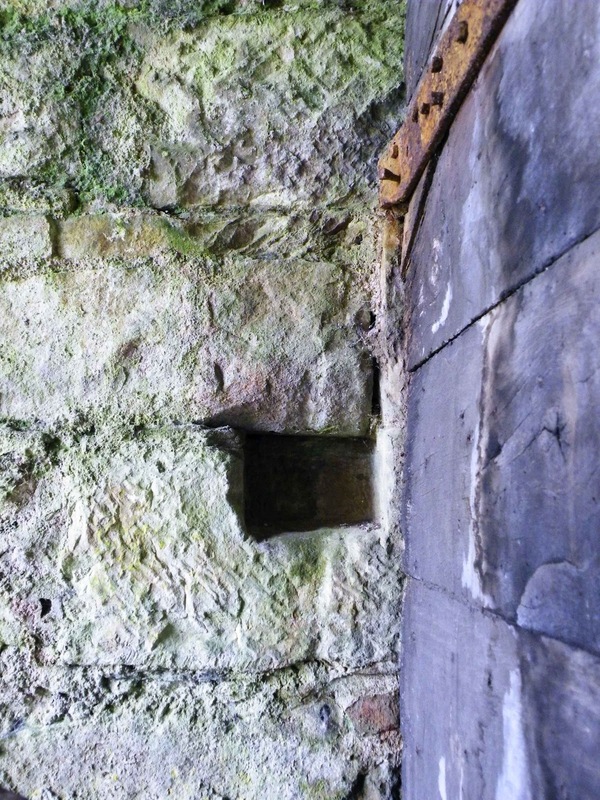 Possible hinge hole in the walls of the gatehouse.